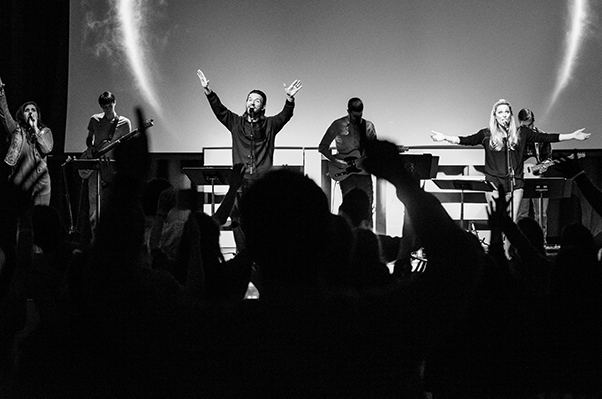 If you're looking for churches in Cary, NC we would love to have you join our worship service this Sunday! We are a non-denominational Christian church focused on three simple values: Love God, Love Others, Make Disciples. We believe that these values lived out will transform Cary, Raleigh, and the entire RDU area. Antioch Community Church meets every Sunday at Cary High School. Services have a casual atmosphere- feel free to come as you are! Join us this Sunday morning! Lifegroups are the heart of what we do as a church. Everybody needs loving community and purpose! These gatherings meet during the week and provide a safe place to develop friendships and to grow in Christ. We believe that the church is called to proclaim and demonstrate the Gospel to the world. Each summer and spring break, we go on trips to share the gospel and serve communities around the globe. Click the "events" picture for a list of all the upcoming events! On March 14th, 2019, a cyclone caused widespread damage and loss of life in Mozambique and the surrounding regions of Africa. Please commit to pray and consider giving to the Mozambique Relief Fund for Tracy Evans and her partners with iReach Africa as they endeavor to minister spiritually and practically on the ground where most of the damage occurred. CLICK HERE to give! NOW AVAILABLE FOR DOWNLOAD: Our New Church App! Thank you! We send out our weekly E-News on Thursdays.